From Side-Line Reporting to Play-By-Play Announcing, Our Sports Experts Give You an Inside Track to the Scores, Highlights, Big Plays, Bringing You Closer to the Game! Brad Adam has been with ROOT SPORTS since June 2000 and in his current role provides the sights and sounds before and after every Mariners game as the Host of Mariners Pregame and Mariners Postgame. Not one to rest in the offseason, however, he is also a consistent presence on the network in the winter by handling play-by-play duties for many college basketball telecasts. Adam comes to the Northwest from familiar positions across the country. 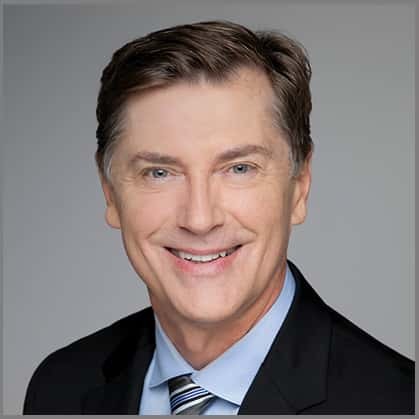 He began his career in Grand Junction, Colorado with KJCT-TV in 1994, then moved on to Charleston, South Carolina with WCIV-TV in 1995 and to Portland, Oregon with KATU-TV in 1997. During his stint in South Carolina, Adam received the Associated Press Award in 1996 for best sports story. The award-winning piece highlighted Dale Earnhardt at the Daytona 500. Raised in Southern California, Adam received a scholarship to Cal Lutheran, where he played Division II basketball. 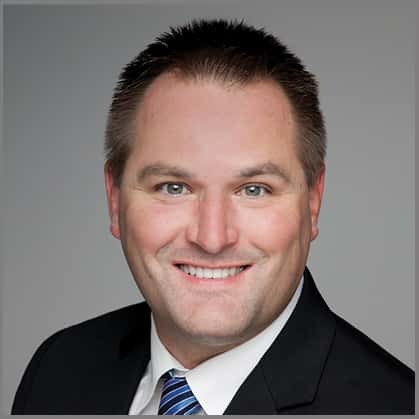 After two years at Cal Lutheran, he then transferred to San Diego State and graduated in 1993 with a bachelor's degree in telecommunications and film. An avid golfer, Adam also enjoys snow skiing and sky diving. Angie Mentink worked her way up from an intern to an Emmy award winning reporter and anchor for our team. Mentink is now one of the ROOT SPORTS featured personalities on our live events and team programs throughout the year. Her favorite assignment is getting inside the game with athletes for her Tricks of the Trade segments. 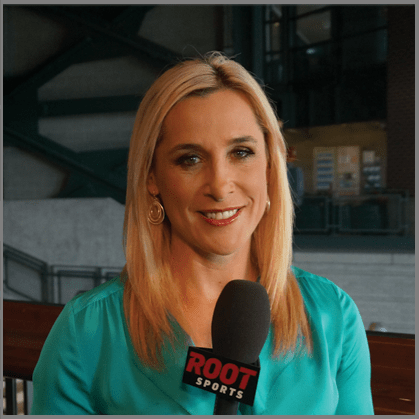 Mentink began her broadcasting career with ROOT SPORTS as the Mariners beat reporter also providing color commentary for the network's softball telecasts. Her transition to sports television followed an accomplished athletic career as an All-American softball player in college and professionally with the Colorado Silver Bullets baseball team. Mentink's collegiate career first began at Central Arizona College where she was a two-time All-American and won two NJCAA National Championships. When the University of Washington added the sport of softball, she was the sort of pioneer the Huskies recruited to launch their inaugural campaign. Her single season records for batting average (.472) and stolen bases (59) as well as her career batting average (.429) record still stand today. She was the first Husky softball player to earn All-Pac 10 and All-American honors while topping the Pac 10 conference in hits, runs and stolen bases and then became the first softball player inducted into the Husky Hall of Fame. A childhood dream came true when Mentink joined a select few women to play professional baseball. As a member of the Colorado Silver Bullets, the first women's professional baseball team since 1954, Mentink toured the country taking on men's semi-pro teams in major league parks like the Kingdome, Shea Stadium and Coors Field. Pioneering what women can accomplish in sports is nothing new to Mentink who was the first female to play and letter in football as a linebacker and wingback at Taft High School in Woodland Hills, California. Mentink is teaching her sons Jaxen and Chase to throw like Mommy and shoot like Daddy. Her husband Jarrett Mentink is a former Assistant Basketball Coach for Seattle Pacific University, where he remains a professor and writes children's books benefiting regional charities. A member of the ROOT SPORTS team since 2006, Jen Mueller is a consistent presence on the network as a reporter on live events and also a significant contributor behind-the-scenes as a producer for local magazine shows. Her experience both on and off the air is the reason Mueller is such a vital member of the team. 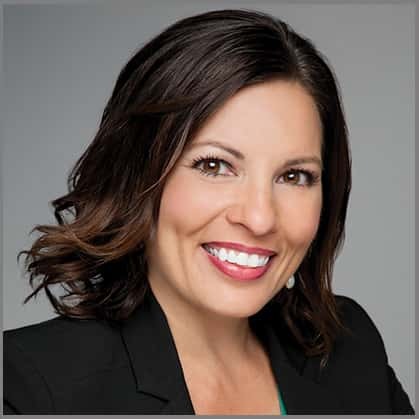 She currently provides content for Mariners All Access and Seahawks All Access in addition to contributing on Mariners Pregame and Mariners Postgame shows and also serving as a sideline reporter for college football and basketball telecasts. A former high school athlete, Mueller turned her attention to sports communications in college. After graduating from SMU in May of 2000, she accepted a job at Texas Cable News as a Producer and "Booker" for a nightly sports show. She then moved to the Northwest later that year and continued her career in Seattle, working in the sports department at KING 5. 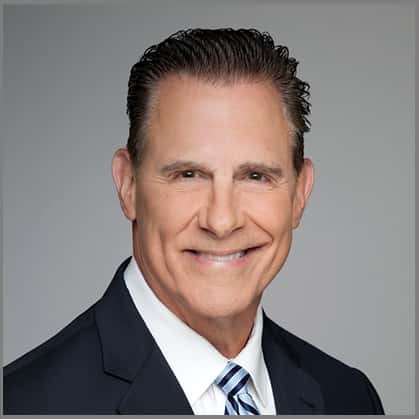 For four years at the NBC affiliate, Mueller produced nightly sportscasts, contributed with writing scripts and reported on the air when needed. In 2009, Mueller added another role to her plate - that of the sideline radio reporter for the Seattle Seahawks. You can hear her every Sunday during football season providing stories from the sidelines and conducting postgame interviews from inside the locker room. In addition to her work in the broadcasting, Jen spent 10 years officiating high school football. Her work on the field led to features in local publications and Referee magazine. A published author, Jen literally wrote the book on how to become a sports fan. Game Time: Learn to Talk Sports in 5 Minutes a Day for Business was published in June 2013, as the go-to resource for new and novice sports fans. Bill Krueger has been the baseball analyst for ROOT SPORTS since the 2000 season. Throughout the summer, Krueger provides viewers the kind of insight and analysis on the Mariners and all of major league baseball that have made him one of the most visible and popular on-air personalities on the broadcast team. Krueger pitched for 13 seasons in the major leagues. He began his career with the Oakland Athletics, who signed him as an amateur free agent in 1980, and made his big league debut on April 10th, 1983. After four seasons with the Athletics (1983-87), Krueger had stints with the Los Angeles Dodgers (1987-88), Milwaukee Brewers (1989, 1992), Seattle Mariners (1990-91, 1995), Montreal Expos (1992), Detroit Tigers (1993) and San Diego Padres (1995). He re-joined the Mariners in June of 1995 and finished his career in Seattle that same year. Over his career, Krueger went 68-66 with a 4.35 ERA. Born in Waukegan, IL, Krueger was a talented athlete at the University of Portland. At 6'5", he arrived on campus as a basketball standout and only began pitching his junior year. His success from 1977-78 at UP earned him a spot on the school's All-Century Team. A 13 year Major League veteran with the Seattle Mariners, Boston Red Sox, Milwaukee Brewers and the Texas Ranges from 1984- 1996. 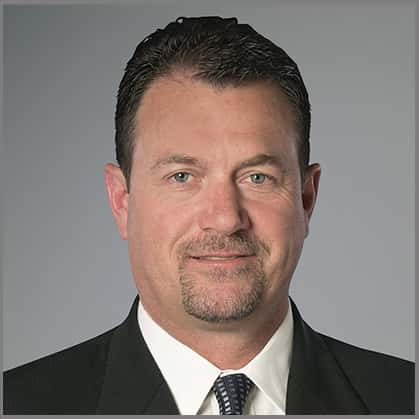 The former catcher went into the broadcast booth starting in 1997 with Seattle and has been a part of their radio and TV broadcasts ever since, including hosting the Postgame show in 2007-2008. Valle also has been a part of MLB Network's Baseball Tonight Show since its inception in 2009-present. Dave joined the ROOT SPORTS team in 2010 and will make appearances throughout the 2015 Mariners season. In 1995, Dave started a non-profit foundation called Esperanza International that serves the poor in the Dominican Republic and Haiti through microfinance, healthcare and educational opportunities. Since its creation, Esperanza International has dispersed over 200,000 loans with a 98% repayment rate and has partnered with over 200 schools in need of assistance. 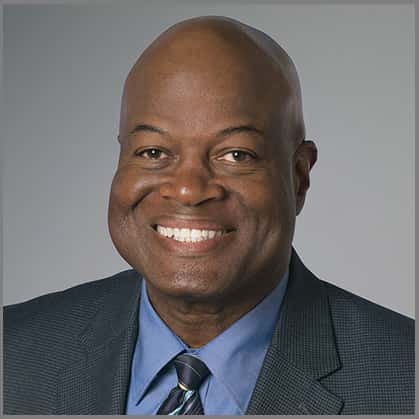 Dave Sims is in his 11th season with the Mariners broadcast team in 2017. The versatile Sims, who has national experience in baseball, basketball and football, grew up in Philadelphia and attended Bethany College in West Virginia. 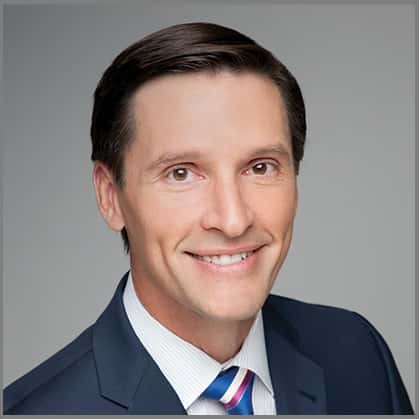 Sims, who focuses on play-by-play duties on Mariners television broadcasts, is familiar to sports fans across the country for calling MLB and college basketball games for ESPN, as well as NFL play-by-play on Westwood One/CBS Radio Sports, including NFC playoff games. The two-time Emmy Award winner has also called play-by-play for NCAA Basketball regular season games and tournament coverage for the past nine years. Sims was the recipient of the Big East Media Award in 2005, and also won the American Football Foundation’s Lindsey Nelson Outstanding Sportscaster Award. Sims began his career as a sportswriter for the New York Daily News, covering college sports, professional soccer and the NBA. He then became a weekend sports anchor at WCBS-TV in New York. In 1991, Sims joined ESPN as a play-by-play announcer for college basketball. He’s been a longtime broadcaster for Big East football (1993-94 and 1998-2006). On radio, he provided a play-by-play for CBS Radio/Westwood One's Sunday night NFL broadcast starting in 2005 and on a permanent basis since 2006. Sims also calls NCAA Basketball Tournament action for Westwood One. 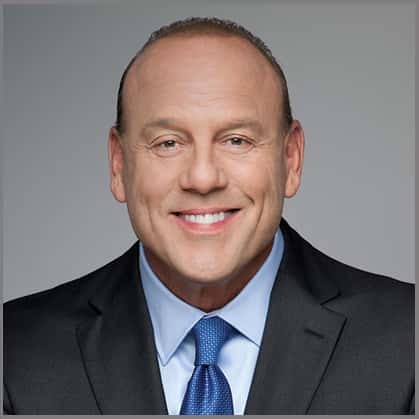 He has also worked as a reporter and anchor for WCBS-TV and as a talk show host for MSG Network and WFAN-AM in New York. He co-hosts “Basketball & Beyond with Coach K” for XM Satellite Radio with Duke University coach Mike Krzyzewski. Sims and his wife Abby have two sons. Mike Blowers, who enters his 11th season as the Mariners the Mariners television analyst, is a long-time fan favorite who did three tours with the Mariners (1992-1995, 1997, 1999). Prior to joining the Mariners broadcast team in 2007, Blowers spent four years as the pre- and post-game analyst on KOMO 1000 News broadcasts of Mariners games. Blowers was a stand-out at Bethel High School in Spanaway, WA, and was a Pac-10 Triple Crown winner while with the University of Washington. During his 11-year MLB career, Blowers also played for the Yankees (1989-91), Dodgers (1996) and Athletics (1998). He played in the postseason with the Mariners in 1995 and 1997. During Seattle's memorable 1995 season, he set career highs in almost every statistical category, including 113 hits, 24 doubles, 23 homers and 96 RBI. He tied a Major League record with three grand slams in a single month in August of '95, when he hit .283 with nine homers and a club-record tying 33 RBI. Blowers received the first-ever “Unsung Hero” award from the Seattle chapter of the Baseball Writers Association of America in 1993. He was originally selected by the Montreal Expos in the 10th round of the 1986 June draft. After being traded to the Yankees on Aug. 29 1989, Blowers made his Major League debut with the Yankees on Sept. 1 vs. California. He actually made his first ML start against the Mariners on Sept. 5, 1989. Blowers lives in Graham, with his wife Nicole and their four children. Aaron Goldsmith enters his fourth season with the Mariners broadcast team in 2016 after being hired on January 17, 2013. Goldsmith joins lead announcer Rick Rizzs, calling most spring training and regular season games, will join the TV crew for a schedule of games, and is actively involved in non-game related broadcasting, including the Mariners Hot Stove League Show, Cactus League Report and Saturday Mariners Magazine. Aaron also does a schedule of Saturday national telecasts for FOX and FS1. A St. Louis, Mo., native, Aaron graduated from Principia College in Elsah, IL, with a BA in history. After college he attended the Broadcast Center in St. Louis, earning a certificate in Radio Broadcasting and Production. He spent the 2012 season as the lead announcer for the AAA Pawtucket Red Sox, calling all 144 PawSox games on the club’s 14-station network, as well as handling 10 telecasts. Aaron was the co-host of the weekly PawSox Insider radio show, and was the author of the highly-regarded MLB.com blog, 45 Miles from Fenway.and FS1. Prior to joining Pawtucket, Goldsmith spent the 2010 and 2011 seasons as the radio broadcaster for the Frisco RoughRiders, the Double-A affiliate of the Texas Rangers. He also served as the team’s Manager of Broadcasting/Media Development. In 2009, Aaron was the broadcaster/studio host for the Portland Sea Dogs, the Red Sox AA affiliate in the Eastern League. Goldsmith began his broadcast career in 2007 with the Gateway Grizzlies in the independent Frontier League, and called the Bourne Braves games in the Cape Cod Baseball League in 2008. Aaron lives in Seattle, with his wife Heather and son, Jackson. Ryan Rowland-Smith, born and raised in Newcastle, Australia, has carved out 17 years of professional baseball spread all over the globe. The Aussie burst into the Major Leagues in 2007 striking out Ken Griffey Jr. Rowland-Smith pitched in various roles for the Seattle Mariners and was part of the starting rotation from 2008 to 2010. In addition to his four seasons in Seattle, Rowland-Smith also had stops with the Astros (2011), Cubs (2012) Red Sox (2013) & the Diamondbacks (2013). Rowland-Smith represented his native Australia in the 2004 Athens Olympic games where he won a silver medal. He was also a part of the team in two World Baseball Classic's including the most recent 2017 WBC in Tokyo Japan. From signing as a long shot out of Australia and working his way to the Major Leagues to tying a club record for consecutive quality starts in 2009, Rowland-Smith brings a unique perspective to the game and journey like no other. As a player and analyst he has always been involved in the community, hosting the Mariners Care Cystic Fibrosis Foundation golf tournament and was nominated for the Roberto Clemente award in 2010. Besides his work on the ROOT SPORTS pre-and post-game shows, Rowland-Smith also appears on the Mariners post-game show on 710ESPN. 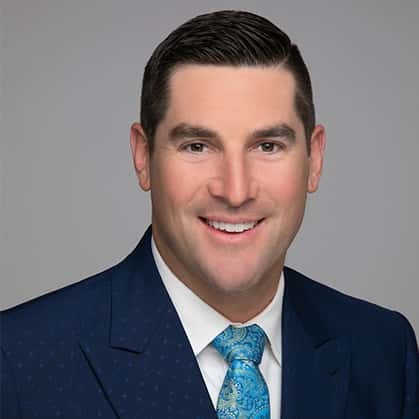 Rowland-Smith is an avid surfer and traveler, and says that being a baseball analyst is a dream job for him as it combines his two favorite things ... baseball and talking. Tacoma native Tom Glasgow is in his ninth year as Sports Director on KOMO Newsradio. 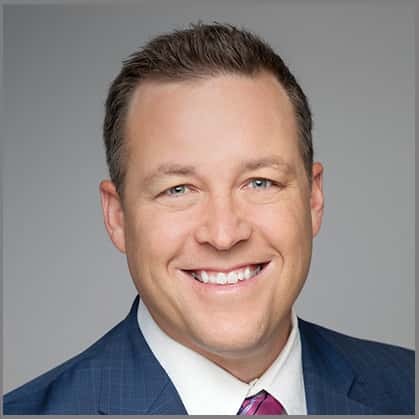 He's also the lead play-by-play announcer on Big Sky and Mountain West football and basketball for ROOT SPORTS (formerly Fox Sports Network Northwest). Glasgow began his broadcasting career at KIRO Radio as a sports producer for Bob Blackburn, Wayne Cody and the original voice of the Seahawks Pete Gross. After serving as a reporter, anchor, talk show host, Glasgow moved in front of the camera to become the lead sports anchor at KIRO TV. He then became the first primary anchor at FSN, where he co-hosted the Emmy Award winning Northwest Sports Report and Pac-10 Tonight. Glasgow was also part of a team that recently won an Emmy Award for a live/unedited sports event for his play-by-play on the 2010 USC-WSU football game. After attending Pacific Lutheran University, he spent two seasons as the play-by-play voice of the NBA's Vancouver Grizzlies before the franchise's move to Memphis. In addition, Glasgow has hosted pregame and postgame shows for the Washington Huskies, Seattle Seahawks and Seattle Mariners. 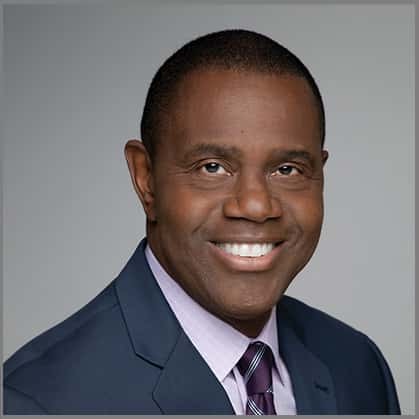 Glasgow is a charter inductee into the Mount Tahoma High School Hall of Fame as part of a group that included former NFL great Ahmad Rashad and ex-Los Angeles Dodgers star Ron Cey. Tom and his wife Heidi reside in Issaquah with their two daughters Abby and Olivia. Jason Stiles graduated from Decatur High School in 1991 where he was named Decatur's Athlete of the Year while competing in football, basketball and baseball. Following his time at Decatur, Stiles was a four-year starter at quarterback for Western Washington University from 1992-1995. During his tenure, Stiles led the Vikings to a number of firsts. In 1992, they made their first ever national playoff appearance. Also in 1992, Stiles was the quarterback for the play that won the first ever College Football Play of the Year at the inaugural ESPY awards. After a great playoff run in 1994, Stiles led the Vikings to their first ever undefeated season and a No. 1 ranking in the national polls in 1995. Stiles finished with over 6,800 yards passing and 70 touchdowns. Stiles remains the career passing leader at Western, still holds six passing records, and in 2000 was named 1st team All-Century. After graduating, Stiles had a four-year professional career. In 1996 he played in Germany, where he led his team to an 8-2 record. In 1997 and 1998, Stiles was a part time starter in the Arena Football League with the Portland Forest Dragons where in his first start he threw five touchdown passes against Anaheim and later competed against 2-time Super Bowl MVP Kurt Warner. He missed the 1999 season due to injury. In between football broadcasting season, Stiles manages to keep himself busy as a Regional Sales Manager for a medical device company. He also spends time coaching quarterbacks in the off-season in small group sessions throughout the greater Puget Sound. Stiles resides in Snoqualmie with his wife Andrea, daughter Jordan, and son Colt. Taylor Barton is in his second season as a color commentator and studio analyst for ROOT SPORTS. Barton brings a wealth of knowledge and experience to football telecasts. Barton graduated from the University of Washington in 2003, where he played quarterback. Previously, Barton played at the University of Colorado and City College of San Francisco, where he was recognized by SuperPrep as the top junior college player in the nation and led the Rams to their second consecutive national championship. The son of former Detroit Lions quarterback Greg Barton, Taylor grew up around the game. A standout at Beaverton High School in Oregon, Taylor led the nation with 4,046 passing yards and 56 touchdowns during his senior year. He also serves as the Director of Camps for the Barton Football Academy, an elite football camp for high school students in the northwest aspiring to reach the college level. Barton lives in Seattle with his wife and daughter. Francis Williams returns to ROOT SPORTS after spending the past three years in the NBA as a college scout with the Charlotte Hornets. The previous four years Francis had been a college basketball studio and in-game color analyst for ROOT SPORTS covering Pac-12, WAC, WCC, Big Sky and Great Northwest Conference basketball games. He has also worked with CBS Sports Television as a color analyst and sideline reporter. Also, been an in-game analyst for NBATV and NBA.com for the NBA Las Vegas Summer League. Francis was part of the Seattle Sonics organization from 2006-2008 working with both the radio broadcast team and the Community Relations unit. He hosted the pregame, halftime and postgame shows on KTTH 770 AM and served as an in-game analyst for all home games. Francis has also served as a guest analyst on the WNBA Seattle Storm radio and TV broadcasts. Francis has been involved professionally with basketball for the past 32 years. He was an assistant basketball coach at Seattle’s Garfield High School and head coach at Seattle’s Rainier Beach High School, where he led the 1988 team to a state championship. He was named Metro League Coach of the year twice (88, 92) and Washington Interscholastic Basketball Coaches Association Coach of the Year in 1988. Francis served as a coach and counselor in the Seattle Public Schools from 1987-2005. Francis is one of the godfathers of Washington AAU/summer basketball. During his 16 years as a consultant to Adidas grassroots basketball, he helped found nationally renowned Friends of Hoop with former Sonics coach and current Sacramento Kings head coach George Karl, and was directly involved in the rise to national prominence of the Seattle Rotary Select program. He has been recognized by the New York Times, ESPN the Magazine and Sports Illustrated as being one of the persons directly responsible for Seattle becoming a “hotbed” of high school basketball. Since 1998 the State of Washington has produced 17 NBA first round draft picks. Francis and his wife Denea reside in Seattle along with their three children, Anderson, Simone and Ellington. Originally from Guelph, Ontario, Ross Smith’s life revolved around soccer from an early age. He gained experience playing all around Europe and finished his career in the United States. Smith spent his college career playing soccer at Rhode Island University where he earned first-team All-Atlantic 10 honors after starting every game. After college, Smith began playing for Scotland's Montrose FC in 2003-04. He then played for English clubs Margate FC (2004-05), Gravesend and Northfleet FC (2005-07) and League Two Club Dagenham and Redbridge F.C. (2007-08). He also played 15 matches for the Rochester Rhinos of the United Soccer Leagues first division (2008). Smith signed with the D2 Timbers in 2010, and instantly felt a connection with the organization. 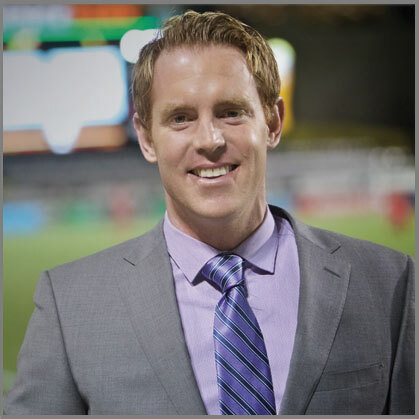 After the Timbers made the move to Major League Soccer, Smith ended his playing career, and in 2011 was invited to join the broadcast team. He is in his fourth year as an analyst and lives in Toronto during the off-season. 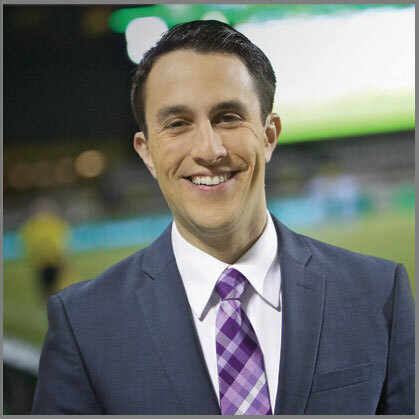 Jake Zivin is the TV play-by-play announcer for the Portland Timbers. He's also a reporter/host for Timbers in 30 and Timbers.com. Jake has extensive experience with Major League Soccer dating all the way back to his college days, when he interned in MLS's broadcasting department. Jake also worked for two years on the production staff for ABC/ESPN's MLS and U.S. National Team broadcasts. 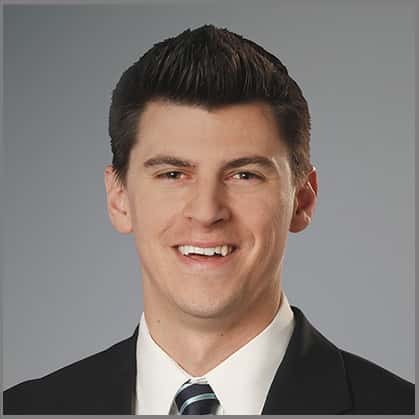 Prior to joining the Timbers, Jake spent four years at KEZI-TV in Eugene, where he was the station’s Sports Director. He began his career in Montana, where he was the Sports Director at KECI-TV in Missoula. Jake was born and raised in Evanston, Illinois, and graduated from Carleton College in 2007 with a degree in Mathematics.